Self-lighting pixels bring colors to life with superb accuracy. LG OLED signage delivers awe-inspiring picture quality across the entire screen, even from wide viewing angles. 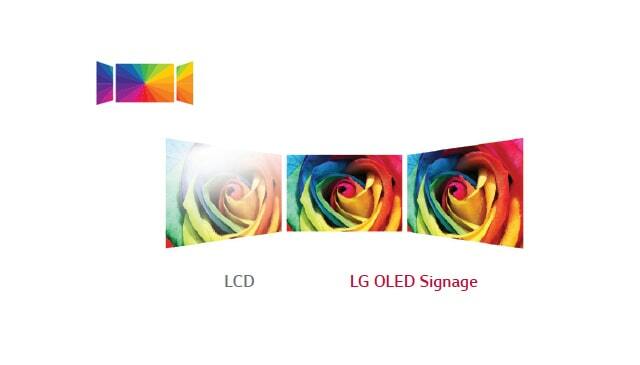 LG OLED signage provides a faster motion-picture response time, for perfectly clear images without blurring. 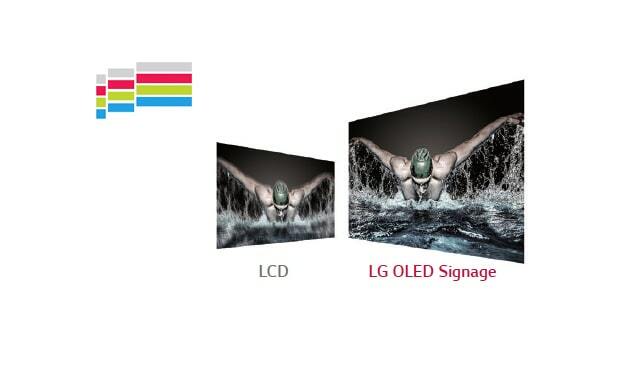 With just two layers, the LG OLED signage display is unbelievably lightweight and thin. Its paper-thin depth gives the space an integrated look. As LG wallpaper OLED signage is extremely slim and light, it can be hung on the wall with dedicated slim brackets for video-wall usage. Limitless contrast and deepest black Self-lighting pixels switch off completely to reproduce black. No light bleeding. Absolute black offers infinite contrast. 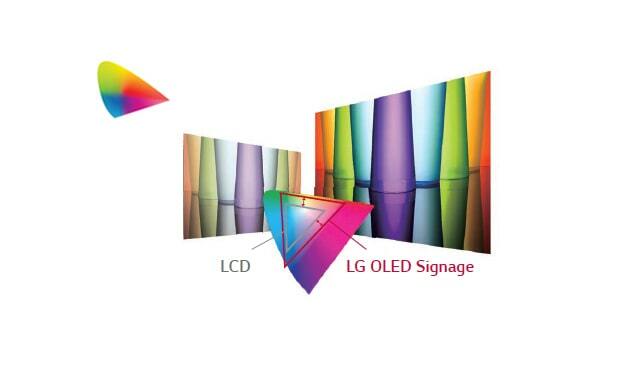 Accurate & stable color reproduction. 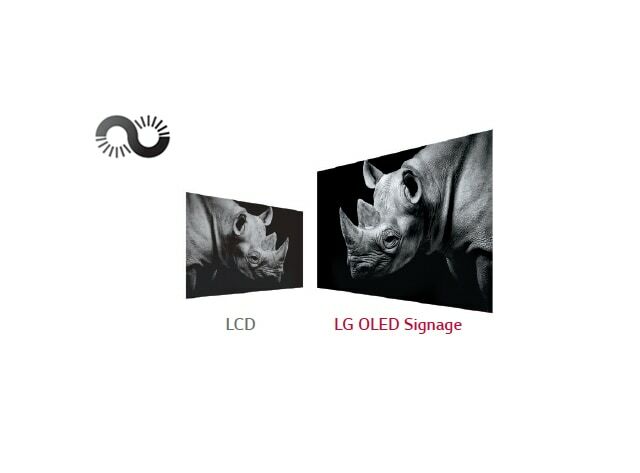 LG OLED Signage provides a 5,000-times faster motion-picture response time, for perfectly clear images without blurring. 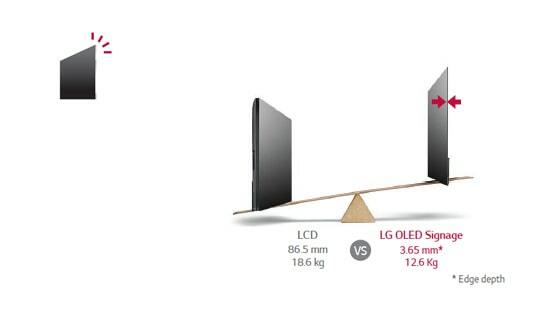 With just two layers, the LG OLED Signage display is unbelievably lightweight and thin. It's paper-thin depth gives the space an integrated look. As LG wallpaper OLED signage is extremely slim and light, it can be hung on the wall with dedicated slim brackets for video-wall usage. Carton Dimensions (WxHxD) 54.4" x 32.8" x 9.9"